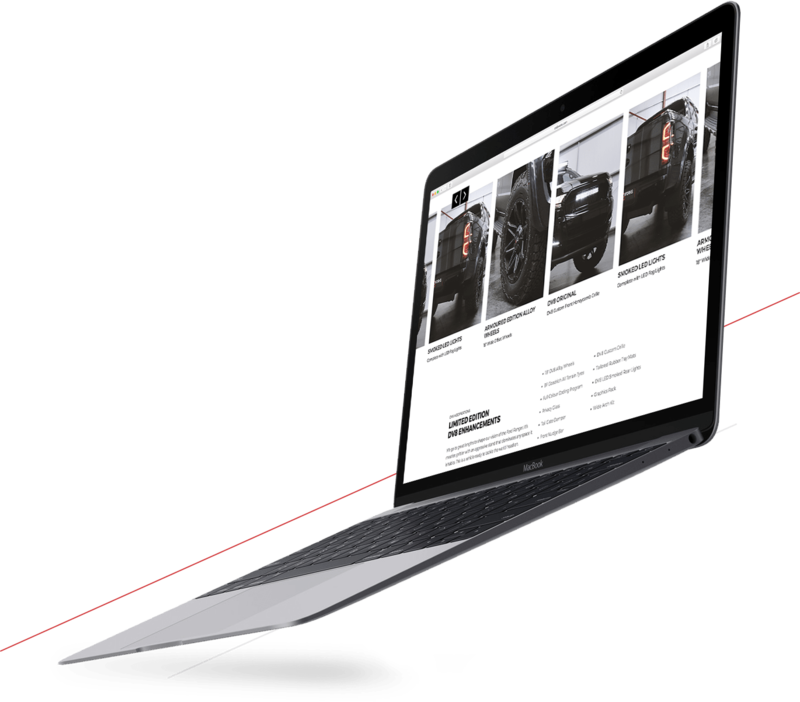 We were asked to design and develop a website that would reflect the bold, muscular and dynamic design of their cars. The site would be image heavy and need to load fast. Focus needed to be on creating a layout that showcased the vehicles whilst also providing key information in a logical format and provide key points of contact. The overall style needed to use tints of a technical colour pallette to unify the images of the vehicles whilst still providing clarity on their appearance. 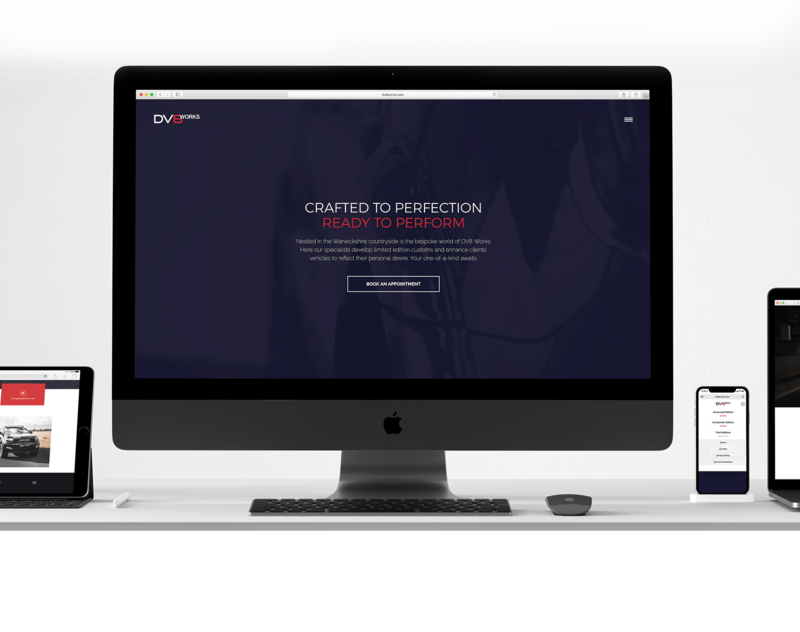 The website design needed to work seamlessely on mobile, tablet and dektop. 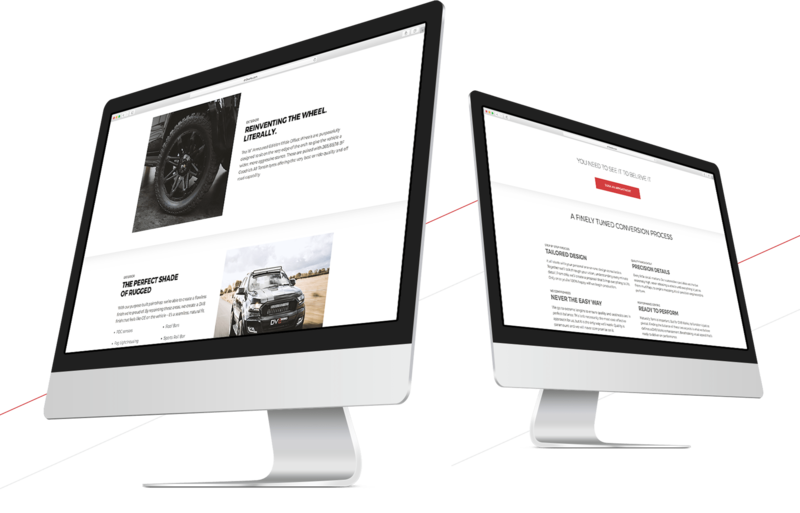 Alongside this the client wanted to use a CMS system that they could easily update themsleves as new vehicles were created. Before we started on the redevelopment of the brand it was important we understood the relationship between owners of the vehicles and their identity. Individualness is a key aspect of their appeal, we wanted the brand identity to reflect this in it's name. 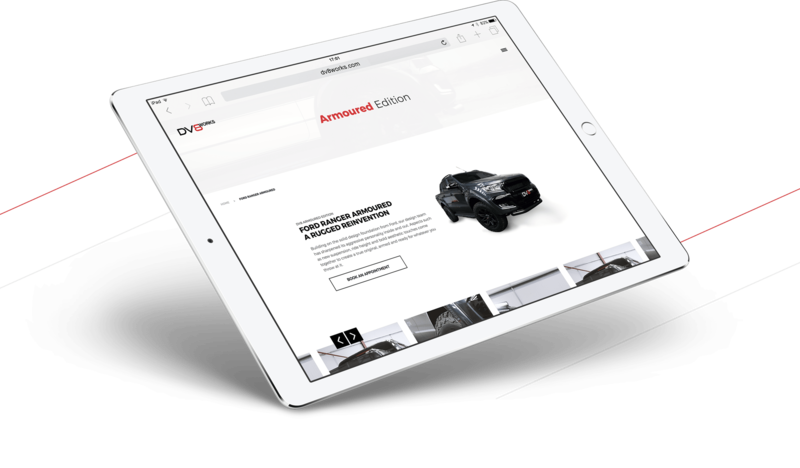 The name, "DV8 Works," clearly communicates the high level of customisation, tuning and attention to detail that can only be achieved by the passion, talent and dedication of the skilled individuals who craft these stunning vehicles. 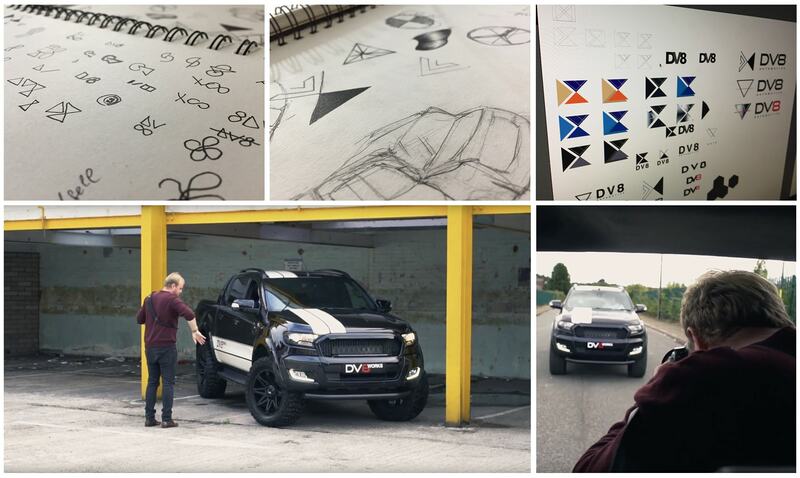 The corporate identity was developed to convey motion, engineering and reflect the bold stance of the vehicles. Bold accents and subtle tints were deliberately used to add a stylish splash of colour without losing the striking impact of the vehicles being displayed. Important key information is easily found a laid out in a logical fashion for the user. 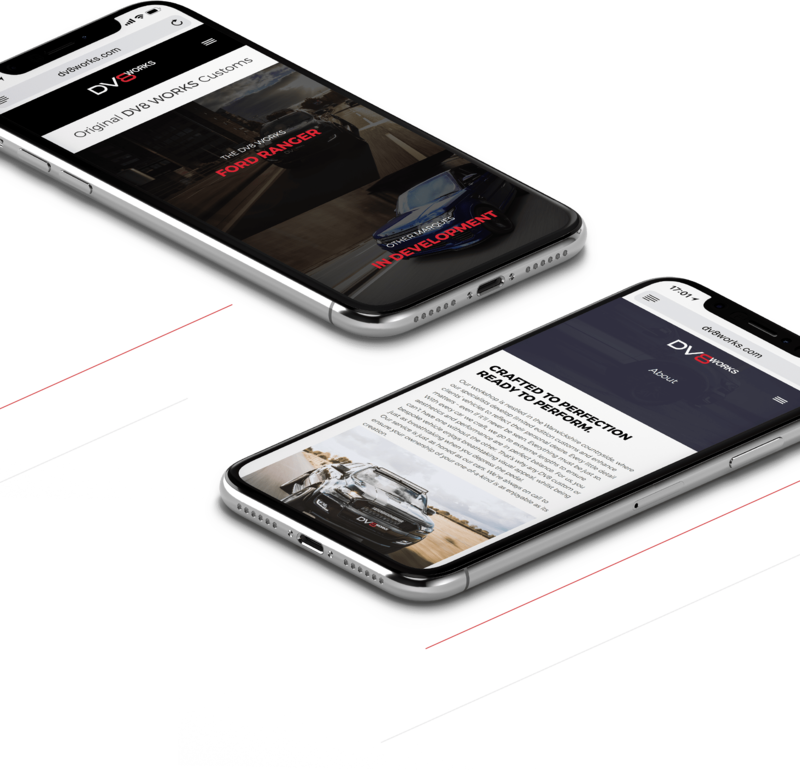 Research had shown that significant traffic to the site would be from mobile users, so it was important we made sure the images would display the vehicles off to their best on a small screen and the user interface was intuitive and seamless.